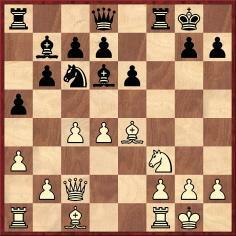 2/6/2011 – ‘A most extraordinary game in that the final moves were wholly unexpected’, wrote one commentator. But what is the truth about the brilliancy, with a full range of suggestions regarding the loser’s identity? And what can be discovered about a master’s painting of the spectacular conclusion? 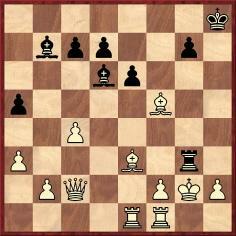 The Editor of Chess Notes looks at a miniature with a unique checkmate. 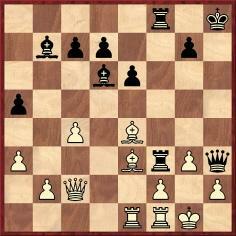 22...Qg2+ 23 Kxg2 Rxg3 mate. There are many discrepancies in the details surrounding the game. Pages 213-214 of the (truly dreadful) book Treasure Chess by B. Pandolfini (New York, 2007) stated that the opponent of ‘Herman Helms’ (Hermann is the correct spelling) was ‘Samuel Smyth’. Some sources give the surname as ‘Smith’. See, for instance, pages 183-184 of the Schachjahrbuch für 1915/16 by L. Bachmann (Ansbach, 1917), which had ‘J. Ferguson Smith’. Similarly, when the game was published on page 138 of Schnell Matt! by C. Hüther and L. Bachmann (Leipzig, 1924) White was named as ‘J.F. Smith’. On the other hand, ‘J.F. 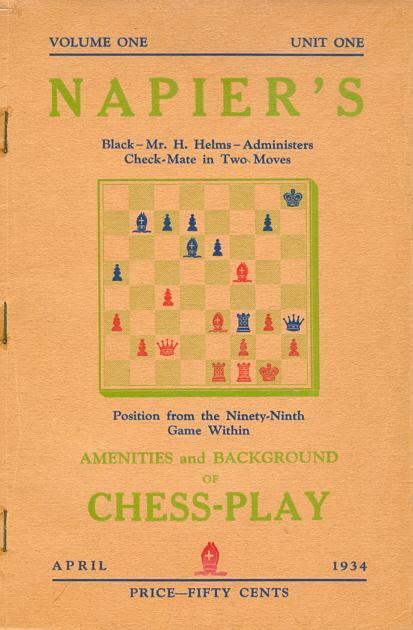 Smythe’ was the version offered when the game was included on page 185 of the July-August 1919 issue of the American Chess Bulletin (editor: H. Helms). However, that was an item reproduced from the New York Evening Post, with the moves merely incorporated within an annotation to another game. The match referred to was held in Philadelphia on 30 May 1915. Unfortunately, no player named J.F. 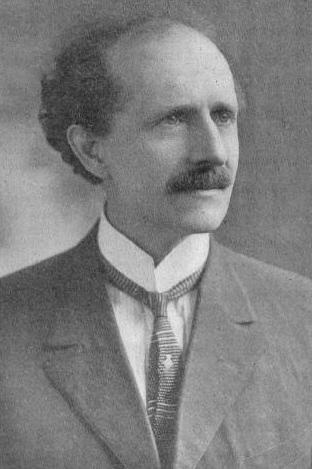 Smyth was listed in the report on page 131 of the July-August 1915 American Chess Bulletin, although one member of the Manhattan Chess Club’s team was ‘M. Smith’. On page 50 of the February 1963 Chess Life John W. Collins wrote that in 1950 Santasiere produced an oil painting of the position preceding 22...Qg2+, and page 34 of the February 1963 Chess Review reported that the painting ‘hangs in the Marshall Chess Club’. 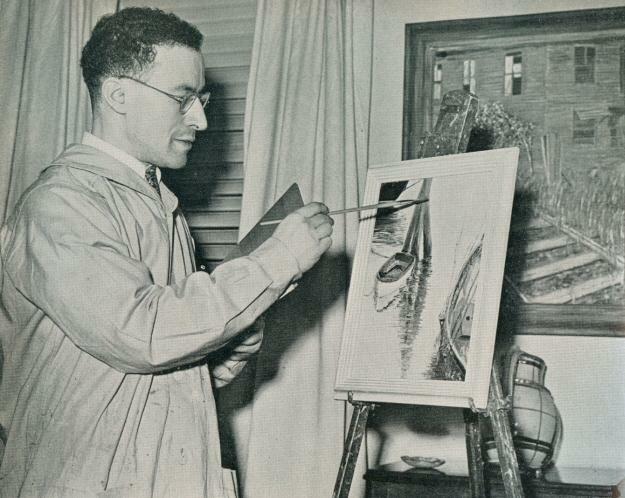 Santasiere’s obituary on page 160 of the March 1977 Chess Life & Review related that ‘he had painted over 400 canvases’, but what details can be found about a painting depicting the Helms game? Practice game, Manhattan Chess Club, New York, 28 May 1915. Edward Winter is the editor of Chess Notes, which was founded in January 1982 as "a forum for aficionados to discuss all matters relating to the Royal Pastime". 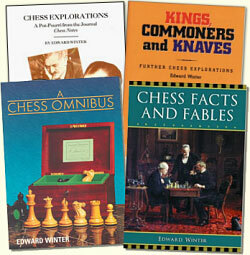 Since then, over 6,930 items have been published, and the series has resulted in four books by Winter: Chess Explorations (1996), Kings, Commoners and Knaves (1999), A Chess Omnibus (2003) and Chess Facts and Fables (2006). He is also the author of a monograph on Capablanca (1989).